I work as Analyst for the ERM software SAP. Other than my main work I am also a youth basketball coach. As you can probably figure it out already all my free time I spent either on a basketball court or at the computer playing WoW. I believe I am a fairly versatile player and can play a lot of characters / specs and that I have been and asset to all the guilds I have been a part of. I am also very experienced in playing Druid and Warlock in PvE situations and if at any point there is a need for me to play something else then I would gladly do so. Why do french tanks have rear-view mirrors? 1. We already have a resto shaman in guild, but the reason we're looking for a 2nd is so we can stack the class on certain boss fights next tier. This means if we were to give you a trial here, we would need you to play elemental & resto during your trial. And should you pass your trial, we'd ideally look to place you as the main elemental shaman in the guild with healing offspec. How does this sound to you? Or are you only looking to heal? 2. 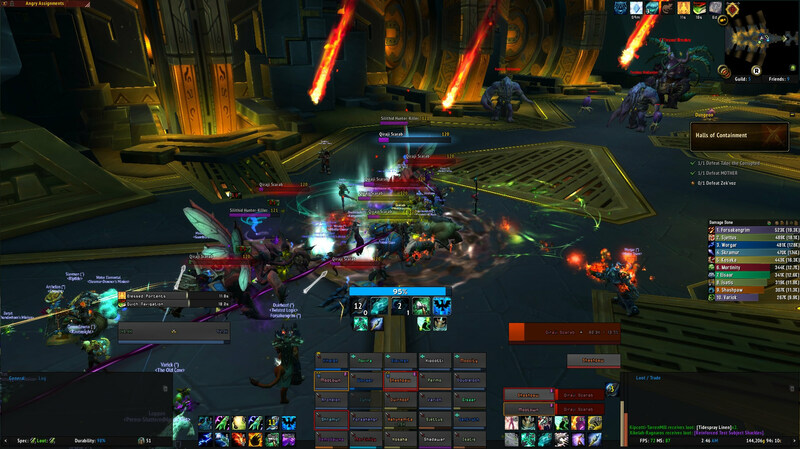 We raid additional days during mythic week, the additional raids are x3 raids on Wednesday from when realms go up and also an additional raid day on Sunday - would you be able to attend this? Thanks for taking the time to read my app and for the quick reply. I don't mind playing Elemental and healing when necessary, I enjoy both equally so this proposition certainly works for me. I mainly played Resto in BFA because I found a guild as a main healer and also because Elemental wasn't at a good place this tier, hopefully patch 8.1 will change that. Ok great, I'm going to offer you a trial in our guild then as Elemental/Resto. Please contact a raider/officer in-game for your invite. We'll need you in guild before tonight's raid at 20:00st.